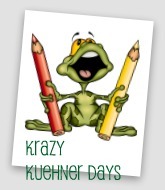 Krazy Kuehner Days: Setting a homeschool budget????? Since I had kids that attended public school, I have seen how tight their budgets are getting. They are constantly running some sort of fundraiser for projects that include textbooks to playground equipment. I have often wondered if I could get away with holding a fundraiser for our homeschool. I mean we have a name.....and we need supplies for our kids too. But because we have chosen to not follow the "norm", we sort of have to come up with more creative ways to get what we need. Before you can set a budget of expenses, you need to look at two things. First what is your family budget and also how do you want to teach your children. 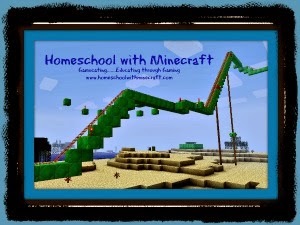 There are so many styles of homeschooling. Are you going to use box curriculum, textbooks and supplement with activities, unit study, lapbooks, Charlotte Mason, unschooler, etc. We do a combination. I use lapbook/unit studies along with a touch of Charlotte Mason style. We do use some textbook type materials, but usually the kids do not have the textbook...I do. I belong to the Staples Rewards program, and watch for their sales. I have gotten printer paper from them for almost nothing. I recycle our ink cartridges there also, and buy their remanufactured ones to help out in cost saving. I use my reward bucks to buy more supplies. 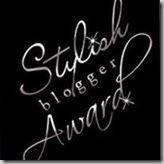 I am addicted to reading what others are using in their homes...yes...my name is Renita and I am a Blog Addict. 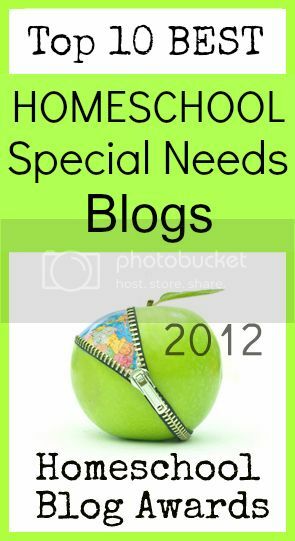 So I see what is working for other families and I ask other parents in our homeschool group what is working for them. Then I start shopping.......I piece a lot together by using Amazon Marketplace, Ebay and even Barnes and Noble. Barnes and Noble even offers an Educator's Discount to homeschoolers!! All you need to do is bring in the letter of dismissal from your school district and fill out their form. That 20% off has come in handy many times! I have even went to Goodwill and a local used book store and scored tons of great buys...included a 1st grade Saxon Math set, Science textbook, some A Beka titles, and 10 like new Geoboards. The most I paid was $6.00 for the Saxon Math. I watch for upper grade items, even though we aren't there yet...doesn't mean we won't be soon. Seriously, most schools use their textbooks for several years. And the way to solve most equations does not change often, so you can be safe with a textbook that is a few years old. I also use the library.....lots and lots of library books. I am trying to switch our style to a more laid back Charlotte Mason, hand-on, almost unschooling approach. So we check out a lot of books. They could be on weather, animals, seasons, etc. We are very fortunate to have a wonderful library at our access that has almost everything we have ever looked for. If it doesn't, I usually am able to find a great substitute to use. If I do buy a textbook (like for our history this year we are using Story of the World), I try to have the children share until we know if we need more than one. If the book is reproducible, then I do it! We have a printer that has $5.00 black ink cartridges and I buy paper on sale at Staples. Another great shopping source is a homeschool Curriculum Fair. I scored some awesome buys at ours this year, and am now saving for the upcoming one this spring. There is the little thought of things that you use to homeschool. How many of us use Netflix? Or our cable to watch Science and History programs? I have that figured into our budget but not under homeschool because we use it for family movies too. What about your internet? I do not need to figure the internet cost under homeschooling completely, because the hubby works from home. And since he MUST have high speed internet to work remotely, I figure we just reap the benefit of that. But I do figure the cost of the kids internet subscriptions into homeschooling. We are cancelling our Click N Read Phonics because Lydia has so many that she is using right now....we don't need this one. But both girls are using ABCmouse. I call the subscriptions a forgotten expense, that I always forget about. I budget a set amount to use for field trips and projects. We have American Girl Club and LEGO Club, and there is always an extra project with these that we choose to do. I use that amount set aside to cover these items. It's inevitable though, no matter how many markers and crayons we have there are supplies we run out of. (I start stocking up in July when Staples and all the area stores start their Back to school Sales....We have hundreds of crayons and markers. Cost .10 to 1.00 a pack at the time, but now will cost anywhere from 1.00 to 4.00 a box.) Got Construction paper packs at Staples for $3.00, they are normally $10.00. Have 9 of those put away right now. Enchanted Learning -- they have some sheets you can print for free, but I admit to having the paid membership because we use this program quite often. So we do have a loose budget set for our homeschool materials, outings and supplies. It would be nice if we could take advantage of some of the programs most schools get to such as Campbell Soup Labels and Box Tops for Education. After all, we do not get the funding from the government that the school automatically get for each of our children. I admit I do not always make the most frugal decisions, but I love a good deal and always on the lookout for one. How do you decide your budget? I think I would be shocked if I actually added up the amount I spend every year on the kids for school. This year we are learning to live with A LOT less because we don't have the resources. I really miss the library. That was my go to for great supplements. Thanks for sharing this!! We also stock up at the Staples Sales and use their rewards. I dont think we really have set a budget but we do have our regular items that I would beg borrow or steal (lol) for..Our Zoo membership each year is $ 154 ($ 75 of which is tax deductbile) that is invaluable to us! Supplies, we use Dollar Tree a lot too and FREECYCLE.com is awesome too! Library book sales are my favorite also! I just snagged 15 books for $ 2! I love the library and the Staples reward program!